Stirling Properties commercial real estate company is pleased to announce that Saltgrass Steak House is coming to Pinnacle Nord du Lac shopping center in Covington, Louisiana. Saltgrass Steak House closed on the acquisition of 1.41 acres of property at the intersection of Pinnacle Parkway and Westshore Drive, between Cracker Barrel and the new Mercedes-Benz dealership. The Texas-themed steak restaurant will occupy approximately 8,000 square feet of space. 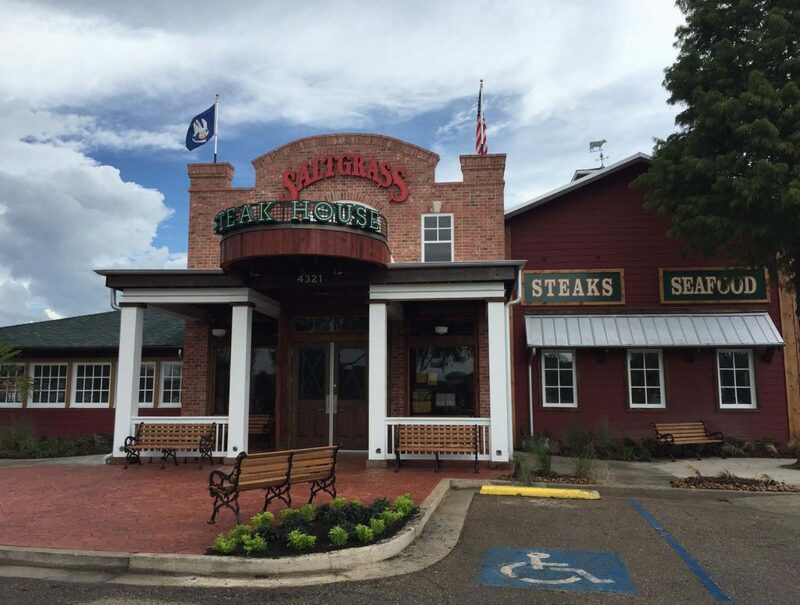 This marks Saltgrass Steak House’s seventh location in Louisiana. This will be the second restaurant announced on the Northshore, with the first to be located at Fremaux Park in Slidell. Rhonda Sharkawy, Stirling Properties’ Senior Retail Leasing & Development Executive, handled the transaction. Sharkawy exclusively represents Saltgrass Steak House and the Landry’s Brands in Louisiana. Pinnacle Nord du Lac, regional shopping center, is located on the northeast corner of Interstate 12 and LA Highway 21. Currently, Pinnacle Nord du Lac is comprised of 327,000 square feet of existing retail space, with an additional 162,000 square feet of future retail expansion planned. The retail center is 97% leased, and anchor tenants include Kohl’s, Academy Sports + Outdoors, Hobby Lobby, and Petco, as well as multiple restaurant options. Stirling Properties handles the facility management of the property. Stirling Properties also developed and manages the adjacent River Chase mixed-use center on the southeast corner of Interstate 12 and LA Highway 21, which houses national anchor tenants such as Target, Sam’s Club, Belk, JCPenney, Regal Cinema, Best Buy, Marshalls, Ross Dress For Less, Cost Plus World Market, Michaels, and ULTA Beauty. I can’t wait, I loved Saltgrass in Dallas. And the fact that I work at Mercedes Benz of Covington right across the street, which makes it very convenient for me. Especially if they’re serving lunch, lol. Excited! Loved SALTGRASS when we lived in Houston! Just what we need, another steakhouse!